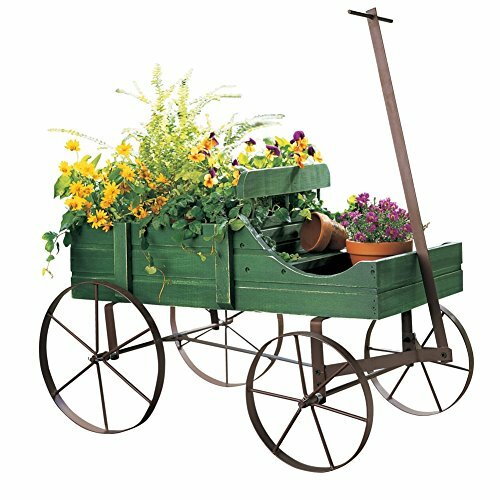 Showcase flowers & plants and create sensational seasonal displays with our Amish Country Wagon. Crafted from wood with rolling iron wheels. Measures 44 1/4"L (includes handle), x 14 1/2"W x 15 1/2"H. Length of the wagon is 21.75" without the handle. Some assembly required. Specify Blue, Country Red or Green. If you have any questions about this product by Collections Etc, contact us by completing and submitting the form below. If you are looking for a specif part number, please include it with your message.